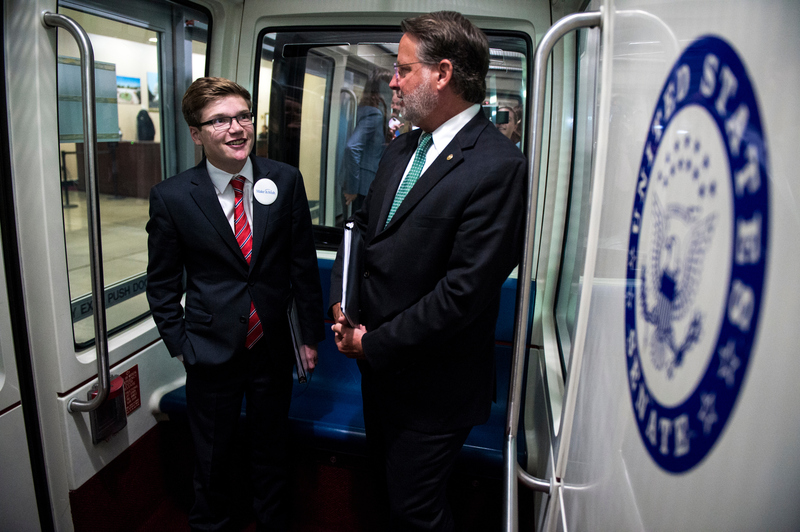 Sen. Gary Peters handed a binder to 18-year-old Thomas Stephenson on Tuesday as they headed for the Capitol from his office. Stephenson has a heart condition, hypoplastic left heart syndrome, a type of congenital heart defect that affects blood flow through the heart. 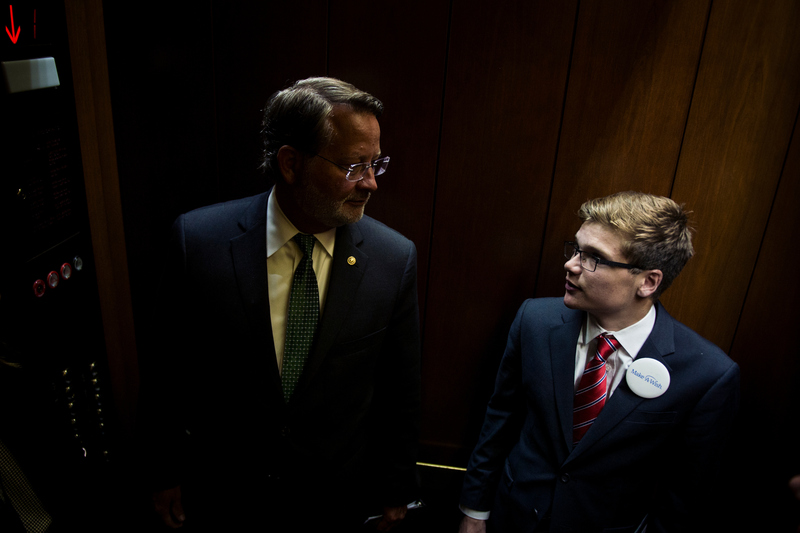 Peters granted the Greenville, Michigan, native his wish to be a senator for a day. Peters showed him the “special senator button,” he said, to call the senators-only elevator in the Hart Building. “I’m really excited to go down on the Senate floor. That’s going to be the highlight for me, I think,” Stephenson said. Peters partnered with Make-A-Wish Mid-Atlantic on Stephenson’s wish. The two spent the morning having coffee with constituents, meeting with people about college costs and how tariffs are affecting the agricultural sector. West Virginia Republican Sen. Shelley Moore Capito also stopped in for a meeting. “That’s also something I didn’t realize, too. You hear about the fights between the parties … but there also is great bipartisanship. It’s needed and it’s also in place,” Stephenson said. Stephenson, who will be a freshman at Michigan State University in the fall, has been passionate about politics since his grandmother took him to D.C. when he was 8. Stephenson made an impression in his short time on the Hill. Stephenson asked questions and involved himself throughout the day. “He’s been sitting through the meetings, he’s been asking lots of questions, we’ve been getting his opinion not just on the Supreme Court justice but on agribusiness, especially school affordability, which is a big issue for him as he goes to Michigan State University in the fall,” Peters said. Tuesday was a hectic day in the Senate, with Judge Brett Kavanaugh meeting with lawmakers the day after his nomination to the Supreme Court, but Stephenson had a different reaction to it. “It’s fairly calm in here, really. I’m sure you have people that are doing research and stuff on the stuff that’s going but on, it’s a very calm atmosphere while you’re actually in here, in the offices,” he said.